We love getting into the nitty gritty of conversion rate optimisation here at dexter.agency whether that’s reading research reports, discovering new techniques or playing around with the latest tools. We searched high and low for tools to cover everything you need to do along the conversion research and testing process. This list contains over 70 tools! We broke the sections down into tools to discover WHERE you’re having issues, WHY the issues are occurring, and TESTING. You’ll find tools for doing heatmaps, live chat, creating surveys and A/B tests, managing your testing process, analytics, and much more. The first step of the CRO process is to discover where exactly problems are occurring on your site. You don’t want to just dive right in and starting testing on random sections, because that’s not efficient. Instead, you want to dive into your analytics and data tools to see where people are dropping off. Once you master Analytics, you’ll be able to find out where people are dropping off in your funnel and identify other issues with your site that can be impacting conversion rates. Are the settings setup correctly? Where are people dropping off in the checkout funnel? Are there any technical issues impacting the conversion rate or leading to high bounce rates? How do the traffic sources compare when it comes to conversions and average order value? There are a ton more questions we ask and try to find out within Analytics. This all goes into a huge report that can often top 80+ pages! This helps guide us when we start doing research, and is a useful resource for the client to use to start understanding their site and marketing efforts. If you really want to get up to speed with Analytics, take Google’s free course and certification. Mixpanel is a powerful product analytics tool. Their software works well for financial services, consumer tech, Saas, media and entertainment. Mixpanel features analytics and marketing tools that include: A/B testing, smart notifications, funnels, and product & people analytics. Their tracking lets you measure every action on links, buttons, videos, and more. 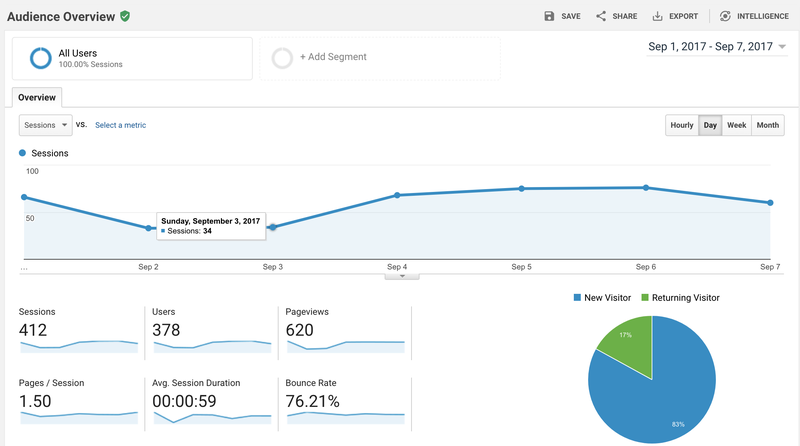 Clicky gives you real time web analytics for your site or blog. Their main advantage over Google Analytics is that everything is in real time, whereas Google only shows you a few real-time stats. Clicky also goes into a lot of detail and allows a lot of segmentation. You can also easily view individual visitors and their actions. Clicky has built-in heatmaps, as well as on-site analytics, and uptime monitoring. Adobe Analytics helps you develop customer intelligence in order to better serve your audience. You’ll be able to analyse video and ad engagement, get web and social analytics, perform online testing, behavioural targeting, and much more. This tool is best for enterprises. This enterprise tool helps businesses quantify and improve the customer experience. Decibel Insight offers on-page behavioural analysis, session replay, heatmaps, form analytics, conversion funnels, and behaviour alerts. Kissmetrics can help you make sense of your data. This software can help you make useful insights about your customers like what was the last page they saw before they converted, how long do customers stay signed up for the service, and more. They have three sections of their product: Analyse, populations, and campaigns. Analyse gives you behaviour reports to see what’s working and what’s not on your site. Populations helps you track key segments of your audience and customers. Campaigns helps you create and deliver behaviour targeted, automated emails. Heap automatically captures every user interaction with no extra code. This includes clicks, taps, gestures, form submissions, page views, and more. It is very easy to use, especially since you don’t need to configure it. Heap is a great tool for collecting data to build hypotheses for tests. Heap works for both websites and mobile apps. With Google Developers PageSpeed Insights you’ll find out why your website is loading slow and what kind of errors you’ve got on the site. You can also compare the mobile and desktop version of the site. Great for speeding up sites! This is a tool we often reference when creating Google Analytics reports. It’s a simple tool that can give clients some great insights into what issues their sites are having in terms of speed and quickly show them if desktop or mobile is having issues. With this tool for speed tests you choose to test your site from a few different servers based in different countries. What makes this tool different from others is the “waterfall report”. You are able to see how long each file takes to load which is great for developers. If you only know that the whole site is loading slow or a specific page it will not tell you that much, you need to know what is causing the problem. Another great tool for page speed test. They’ve also got the “waterfall report”. Here you can choose from a lot of different servers based in many different countries and also choose what browser to test from. This is a favourite tool of ours. 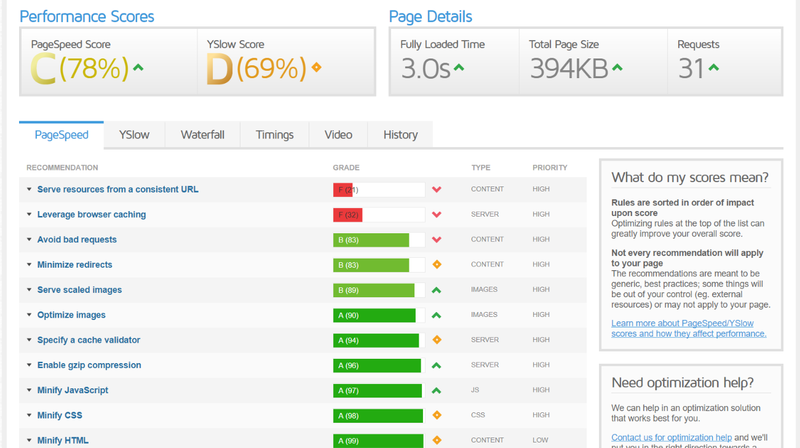 When we’re doing our analytics report for clients, we often turn to Web Page Test to create page speed reports. A nice feature is that you can create videos of the loading times, these are great for illustrating just how long a page is taking to load. It’s very useful to show to clients. GTMetrix is a powerful speed reporting tool. Submit your link and you’ll get back a huge report of what’s slow on your site and what exactly you can fix to help speed it up. This is a great report to use if you’re technically savvy or to send to your development team. We’ve used this tool to send more in-depth reports to clients that are looking to really dig in and improve their speed. The report provides pages of details about what exactly needs to be fixed. Now that you discovered where problems are occurring, you’ll have an idea of what areas you want to focus on in the research step. Now it’s time to pull out the research tools like surveys, heatmaps, scrollmaps, user replays, and user testing to find out why people are dropping off at these certain steps. When we’re doing client research we look at the following: scrollmaps, clickmaps, mouse movement, user replays, user testing, form data, live chat transcripts. We also do customer support interviews which are a great way to get first-hand information about what customers are calling about and what issues they’re having. Hotjar, based in Malta, has become very popular, very fast (over 200,000 users). This is a very user friendly tool and probably one of the most popular “all in one” CRO tools out there at the moment. When starting our conversion research, this is the first tool we install on a client’s website. With this, we start collecting data for clickmaps, scrollmaps, user replays, forms, and funnels. Once all the data has come in, we can go through and develop insights. Something to note, when making your user replays make sure you change the settings so that you’re only collecting videos where a user spends more than 30 seconds on the site, otherwise you can end up with lots of 1-5 second videos. You’ll want to view at least 50 user replays. When it comes to heatmaps, pay attention to where there are big drop-offs (potential false bottom?) and what people are seeing vs. not seeing on the page (is something too far down that nobody is scrolling to it?). For clickmaps, you want to look at what people are clicking and also what they’re not clicking. Are there navigation links in the menu that get almost no clicks? Are people clicking something that’s not actually clickable? Crazy Egg offers heat maps, click maps, scroll maps, A/B testing, user recordings and more to offer you a visual glimpse at how your users are navigating your site. Use Crazy Egg’s tools to see what your customers are doing on your site and make improvements. Recordings: See actual visitors’ screens. Watch how they navigate the site, what they click, and where they get stuck. Take a look at what your visitors are doing with Sessioncam’s suite of tools including heatmaps, form analytics, and session replays. This tool also offers a machine-learning algorithm that can automatically identify customer struggle, see all errors that come up on the site (ranked by revenue-at-risk! 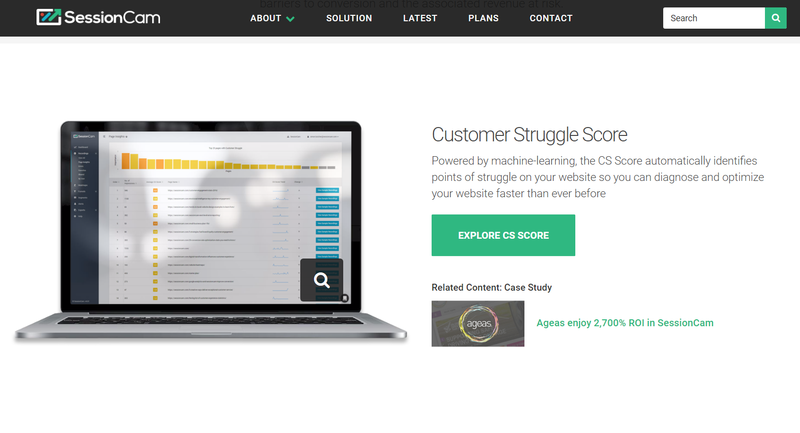 ), and identify key customer journeys. This enterprise experience analytics tool offers your basic suite of tools like heatmaps, session replays, and app analytics. But they also offer path analytics which helps you identify the impact of visitor behaviours, and conversion analytics which helps you find problems with funnels and forms. They even offer Psychological Analytics which helps you determine customer intent, something that’s difficult to accomplish with just heatmaps and session replays. This powerful session replay tool lets you capture everything a visitor does. This means all assets, customer actions, and all clicks. Sensitive customer info is protected and excluded. There is also console log recording to let you see bugs within a user’s session. This easy to set up tool gives you a suite of tools to help you find out what actions users are taking on your site. 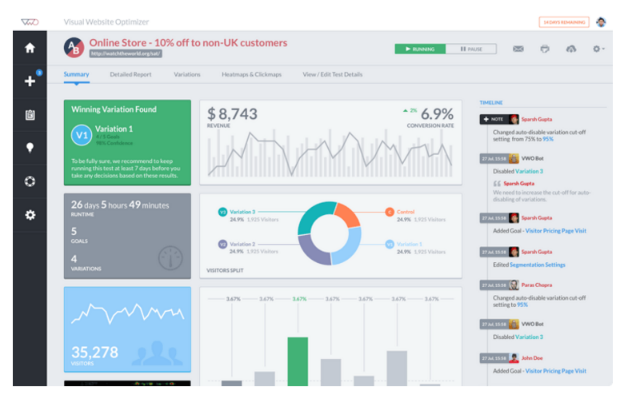 They have session replays, heatmaps, funnels, form analysis, and customer feedback. This tool integrates with big name website platforms like Drupal, WordPress, Magento, Shopify, and more. This session replay tool lets you see every visitor interaction including CSS animations and dynamic content. They also offer advanced filtering so you can drill down and find certain replays, and session scoring, where Jaco automatically rates and highlights interesting sessions. Inspectlet’s product offers session replays with the power of strong filtering. Going through tons of session replays can take hours, but Inspectlet lets you drill down to find sessions of visitors who come from AdWords or similar. They also offer conversion funnels, heatmaps, clickmaps, scrollmaps. Lucky Orange helps you keep tabs on all your website visitors. They offer recordings, heatmaps, clickmaps, and scrollmaps, form analytics, and conversion funnels. You can get qualitative data on customers by using the polls tool and live chat feature. Analysing forms is important for discovering where visitors are falling off in the checkout funnel. If you see a huge drop-off on the contact info form of your funnel, it could be that users are getting stuck on a certain step. Form analysis tools will help you identify these areas for optimisation and testing. Formisimo is THE form analytics tool. You’ll get in-depth insights into your forms, from what fields people are dropping off at to the time it takes for people to fill in certain fields. This is great for helping create useful A/B tests. When we’re able to do form analysis on a site, we always use Formisimo. Installing the codes is relatively easy once you get the hang of how the codes work. Then we wait for the data to come in, usually around 500 or so conversions. This is a great tool for finding troublesome form fields that people might be getting stuck on, and we can see at what point people are dropping off which can also indicate a field that needs optimising. Always make sure to check the overall data, but then also segment it by device to see differences in tablet, desktop, and mobile users. Surveys and polls are great qualitative tools for gathering insights into why visitors are or are not doing something on your site. You’ll get lots of data from heatmaps, scrollmaps, clickmaps, user replays, and form analytics, but these don’t tell you the whole story. Now you can use surveys sent to customers or visitors, or quick polls or feedback surveys that pop up on certain pages to find out what visitors are thinking at that moment. Survey Monkey is probably the most well-known survey tool online. It’s easy to use (and also offers a free version), and lets you survey your visitors and customers. Besides just basic surveys, they also offer survey panels, enterprise surveys, customer experience, employee engagement, and more. The surveys offer custom themes and branding, as well as suggestions for questions, and helpful analytics once the results come in. They also offer integration with apps like Slack, Google docs, Hootsuite, Eventbrite, and more. Survey.io comes from the team at Qualaroo. This tool will help you with customer development and getting customer feedback through surveys. Survey Gizmo offers team/enterprise, and individual tools for creating surveys. They offer 3 platforms: Feedback, assessment and research. And they offer multiple solutions for different industries like healthcare, non-profit, education, compliance, as well as market research, product feedback management, and more. Qualaroo helps you nudge and survey visitors right on your website. This means exit-intent surveys, lead generation, and get insights into what visitors are thinking while on certain pages. This is a great way to find out why customers are doing something on a page or why they’re dropping off, especially after you’ve gathered data from heatmaps, user replays, etc. Want to create beautiful surveys to send to your customers or website visitors? That’s what Typeform is for. These in-site surveys and polls help you find out what visitors are thinking and engage them at the right time. These forms and polls can slide in or pop up. Need cheap surveys, quickly? Google Forms are easy to create and free! If you just need a quick and dirty survey to send to customers or get some feedback, Google Forms is a great tool to use. If you’re looking for a more robust form tool then you need to use Qualtrics. This tool is trusted by universities and researchers at huge companies because of the customisation and ability to create unique form and surveys. Using live chat on your site is a known conversion booster. Some visitors aren’t comfortable making a call, or have a quick question they want answered right away. Live chat is support available right when your visitor needs a little help. This 24/7 live chat team will power your live chat service. No need to hire your own customer support person or team. 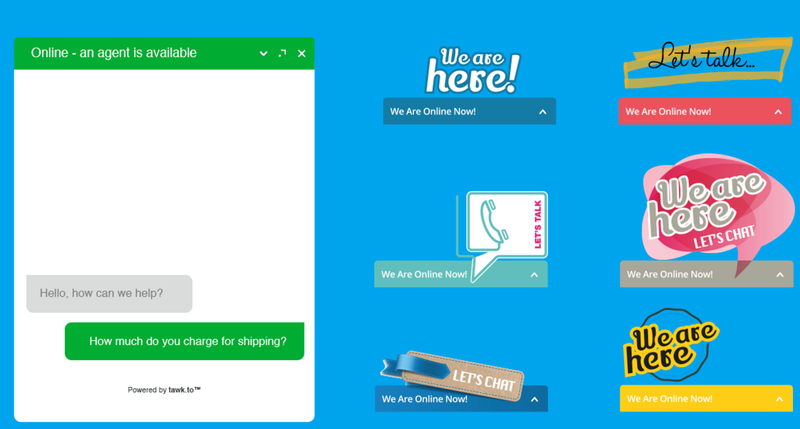 A live chat service for businesses without a dedicated customer support team. This done for you service will help manage your live chat. Intercom is the solution to power your customer support. You can manage and reply to live chat, email, and social all in one place. It can also power your knowledge base. If you’re not ready for a paid live chat service, Tawk.to is a great free alternative to get started. Get user testers to go through your website, mobile app, or prototype. They’re one of the biggest user testing platforms and have over a million users. Try My UI is a user testing site that helps facilitate remote, mobile, wireframe/prototype testing, and testing with your own users. Their platform will help you find testers based on your specifications. They also offer UX focused products. UXCrowd which is a crowdsourced solution to help you get feedback from testers about the best and worst parts of your product. UX Diagnostics and UX Sprint are two other UX products. Get videos of visitors using your site or app to help improve usability and customer experience and identify bugs. Get participants based on demographics like age, gender, income, and country, as well as based on device, and specialised questions of your choosing. We currently use What Users Do and have had great success with it. Often, we’ll put a test live and have all recordings back within 1-2 days! Quick turnaround time can depend on the qualifications you set and if you have any specific qualifying questions. When we setup tests, we do a run through first to make sure all questions and tasks make sense. Then we put 1 test live and check the video. This ensures that we are certain that the user could complete the tasks and nothing was confusing. Once we check that first video and see that everything went well (or made adjustments to the tasks if something was unclear) then we request 9 more users, for a total of 10 user tests. When creating tasks, make sure you’re not too specific so as to tell the visitor exactly what to do. It’s a common mistake to want to try to validate an idea you have about the site. The point of the user testing is to see what regular visitors do on the site and gain insights from that, rather than try to validate assumptions. In your testing tasks, have a broad task such as find an item you like that is under $50. Then also have a specific task such as find an item in blue or green that is between $100 and $200. If you’re feeling stuck, here’s a list of questions your user testing videos could be answering. If you’re interested in seeing some behind the scenes of What Users Do, check out this video. Lookback offers unlimited testing on any device. You can do remote un-moderated testing, live moderated testing, and in-person testing. This tool is great if you have your own set of users, and for testing on mobile. Lookback is one of the best tools out there and we can’t recommend it enough! The five second test is a simple way to get first impressions from visitors. All you have to do is upload a design (landing page, marketing material, logo, etc.) and people will have 5 seconds to look at it and see what they remember. You’ll get a nice word cloud of common keywords to help you see what people remember most about your design. This is great for testing homepages, especially if you want to add a new value proposition. Guerrilla usability testing software for designers and developers. This tool is free ($39 to remove the watermark), and is available on Mac. UsabilityHub offers a suite of remote testing options: Five Second Test, Click Test, Question Test, Navigation Test, Preference Test. You can recruit users on your own or use UsabilityHub’s own users. This site is a bit different from the other user testing tools, because the tools on this site are broken up based on very specific actions and insights you want to get from users. Ethnio helps you find just the right users for your tests. Use this tool to create great looking user recruiting screens on desktop or mobile. You can target the screens based on location, device, operating system, and browser. Once a user signs up, automated emails are sent and a they’re scheduled for their test. This is a great tool for those looking to recruit very specific testers. Now the fun part begins! Your research is over and you’ve come up with some ideas and hypotheses that you’ll want to create tests for. The tools below will help you design mockups for tests, run quality assurance tests on them, keep track of all tests, and actually implement and run them. It’s important that you test out a few tools before diving in and going for one, some people like Optimizely, while others like Convert, it’s really up to you and what you want to get from the testing tool. All good A/B tests start with a mockup. You and your team may want to create some quick and dirty wireframes or may want to flesh out the design a bit more. Here are some tools to help kickstart your A/B test designs. Balsamiq is what we use here at dexter.agency. This tool helps you create some low-fidelity mockups that you can send over to your developer to illustrate a feature or A/B test. Balsamiq features tons of pre-made shapes like buttons, forms, browser windows, and more. Just drag and drop, and you’ll have a mockup ready in just a few minutes. Every month, as we’re coming up with test ideas for the next month, we use Balsamiq to create the mockups for those test briefings. It’s a great way to show clients what the idea will look like on the site. Although, make sure to tell them it’s a rough sketch, and not exactly how the final test will look. If you’re looking to get really serious about your mockups, give Sketch a try. This is the go-to tool for UX designers when they’re designing a new app, site, or feature. It’s a very robust tool for creating high-fidelity designs. Moqups is an online, collaboration-based mockup tool. Create your designs within the platform and you can get feedback within the tool from colleagues, clients, and anyone else on your team. They offer stencils, icon sets, and tons of fonts to choose from. Similar to Moqups, MockFlow is an online mockup tool. This company offers a few different tools including WireframePro that lets you create and collaborate on wireframes. Benefit from the community of MockFlow users with their MockStore, which has tons of user-created templates. You can even generate specifications within the app, no more making an extra note on the side about hex colour or sizes. With A/B testing tools you can test different versions of a specific page. You upload (or make) the new design in the tool and then test it. That means you do not need to change any code on your website before you know what version is winning. To be able to do A/B testing we recommend that you have at least 1000 transactions per month for the tests to be statistically significant and so that you get the results fast enough. Optimizely is the leading A/B testing tool. This allows you to do A/B and multi-page testing, personalisation, web recommendations powered by machine learning, mobile and tv app experiments. A cool feature is their real-time behavioural targeting which allows you to change the website experience based on a user’s data. With their Full Stack feature, if your development team creates new updates you can roll them out to different groups and test it before putting it live. VWO is a popular A/B testing tool. With VWO (Visual Website Optimizer) you can A/B and MVT test. Besides testing, you can also do research with heatmaps, user feedback, and a landing page analyser. You can then deploy personalisations and target specific segments. Convert is a newcomer in the game but they are already installed on 4000+ websites. Absolutely a worthy competitor to the more famous A/B testing tools. This is the tool we currently user here at dexter.agency. This tool makes it easy to set up and run A/B tests, and you can integrate it with popular analytics tools like Google Analytics and Kissmetrics. An important thing to note is that we don’t advice using the visual editor, whether it’s on Convert or another A/B testing platform. Many platforms push these visual editors because they don’t require programmers. But we find that the visual editors are not foolproof and can lead to errors. It is much more worthwhile to invest in a good developer and have the tests coded and have that code added to the testing platform. AB Tasty is not as well known as VWO or Optimizely but it’s been around for quite a few years. You can do A/B/n, split, MVT, and funnel testing, as well as advanced segmentation and personalisation. Their Engage feature lets you monitor segments in real-time and display content, and popups to help promote urgency and increase your email list. Google Optimize is a free A/B testing tool. It integrates natively with Google Analytics. This is a great alternative for sites looking to experiment with A/B testing or without the budget for a dedicated tool. ChangeAgain.me provides a visual interface to Google Experiments for A/B testing. You can test unlimited traffic at no extra cost, which other testing tools generally charge for. Conductrics is an advanced tool that offers methods from A/B testing blended with Machine Learning to deliver optimal experiences, for each user, automatically. You can deliver content like web content, site or app features, and back end functionality. Adobe Target is another tool from Adobe, besides Analytics. This tool offers conversion optimisation, personalisation, targeted recommendations, and mobile optimisation. Once you’ve done your research, you’d want to use Adobe Target to start optimising and personalising your site. Perform live browser testing with Browserling. Test in browsers like Opera, Firefox, Chrome, Safari, and Internet Explorer. You can test live, get screenshots, and use the bug hunter feature to identify design issues and bugs. Browserstack is the most popular browser testing site, it’s the tool we use here at dexter.agency. You can test on all the popular OS and browsers from Mac to Windows phone to Android. You can also test on devices like iPhones and Android phones, tablets, and desktop, including older versions. This is a live testing tool, and also offers screenshots as well. A good way to determine which browsers and devices to run tests on is to check Google Analytics for each client. You’ll want to include the top browsers and latest versions for each OS, but you’ll also want to include any additional versions of browsers that you see are popular among visitors. Some sites may find that an old version of Internet Explorer is popular with their visitors, so make sure you’re testing on it! It’s also important to think through all scenarios as you’re doing your testing. What happens if you’re testing in the cart and just have one item in it? What about if you have 10 items? How does it look if you resize the screen? Browsershots is a screenshot testing tool. This is a free, open-source testing tool that lets you see screenshots of your site on different operating systems and browsers. This includes both popular and less used browsers like SeaMonkey, Opera, Firefox, Chrome, and more. Test on OS types like Linux, Mac, Windows, and BSD. Cross Browser Testing is a cloud testing platform from SmartBear that lets you do automated and manual testing on real browsers. They offer over 1500 real desktop and mobile browser versions for screenshots, remote debugging, and automated tests. Their automated testing allows you to run Selenium, Appium, and other test frameworks. Screen Fly is a testing tool that lets you view your website at different resolutions. See how your site will look on phones, tablet, desktop, and even TV. Hello Bar is a simple tool that lets you easily create lead capture bars, modals, sliders, and full screen popups. It’s free to use and easy to install on your site. It integrates with popular tools like MailChimp, Drip, Infusionsoft, iContact, and more. ScreenPopper is a lead magnet tool that doesn’t require programing knowledge. You can use their templates or build your own, make the popups come up on visitor arrival, scrolling, or upon exit. A/B test your messaging and also target specific visitors and audiences. Sumo offers tools to grow your email list. Use tools like welcome mats, top bars, scroll boxes, as well as make it easy to let visitors share your content. This tool has a free plan, and some paid plans for additional features. Optimonk helps you do onsite retargeting so you can reduce the amount of visitors that abandon your site. 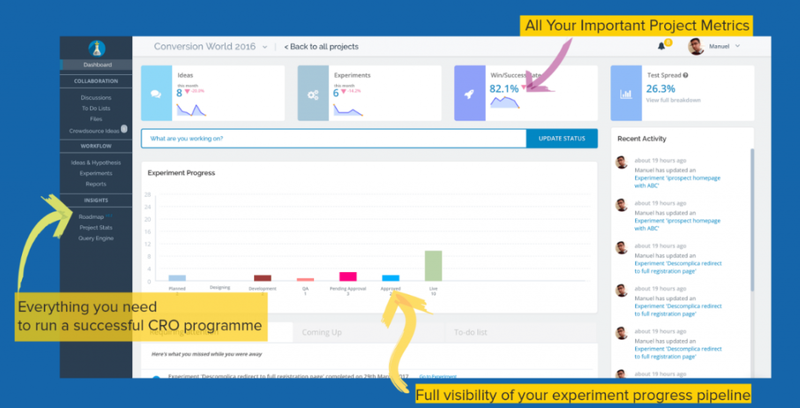 You can even A/B test in this tool to ensure you’re optimising your campaigns. OptinMonster allows you to create and A/B test lead capture forms. They offer many types of forms like exit intent, lightboxes, floating bars, slide ins, sidebars, and more. Easily integrate on sites like WordPress, Shopify, Magento, Drupal, Squarespace, and more. Sleeknote helps you to capture leads through different types of forms that you can A/B test. You can, for example, choose to use exit intent, time activation and choose how the form should look like by using their different templates. Sleeknote also has a function they call “automated triggering” which automatically tests what triggers yield the best result for your website. Sleeknote integrates on sites like Shopify, Joomla, Bigcommerce, Magento, WordPress, Prestashop and more. It also integrates with for example Mailchimp. Just Uno helps you convert more of your website traffic. Use tools like lead capture, website messaging, cart abandonment solutions, mobile promotions, and smart targeting. They’re a pretty new player in the space but have grown a lot and are used by tons of top sites. This is a project management tool made just for A/B testing. You can easily keep track of ideas and A/B tests, and share the progress with clients and teammates. This tool lets you collaborate with developers and clients using the comment feature, and you can move the tests to certain stages that you create, so you’re always on top of your tests. Once tests are finished, you can easily create reports within Effective Experiments. We use Effective Experiments to keep track of our clients, their A/B tests, and any ideas we have. The tool is perfect for taking ideas from our research and prioritising them for testing. We can also share access with our clients so they’re able to see what’s happening with their tests. Whenever we complete research for our clients, we take all the test ideas and put them into Effective Experiments. Then we go through and add a test hypothesis to each and a PIE score (priority, impact, ease) which helps us figure out what tests to run first. The tool is a helpful way to keep track of our ideas, hypotheses, figure out which tests to run next, track experiment stages, and create reports which we send to clients. Using their Query Engine, you can sort through all previous tests to find winners, ones based on certain tags, or tests done on certain pages. Experiment Engine, now part of Optimizely, is a tool to help you manage your A/B testing workflow. Keep track of what you’re testing, ideas and hypotheses, monitor where tests are from development to launch, and collaborate. Once tests are completed, you can easily sort through them all and see past winners and get ideas for new tests. Iridion is an A/B test management tool to help keep you and your tests organized. Document ideas, get ideas on how to analyse your site, keep track of experiments, and monitor progress with the dashboard. Iridion also helps you make use of all this knowledge by letting you create CRO wikis. Unbounce is one of the top landing page builder tools out there. You can easily create great looking landing pages with Unbounce without any programming using their drag and drop feature. A/B testing, and other integrations are supported. Pricing is based on the number of visitors to the landing pages per month. LeadPages is likely the most well known landing page tool online. Like Unbounce, it’s popular because of the easy to use drag and drop feature that marketers and other non-technical people can use. They offer tons of templates in their marketplace that you can purchase if you don’t want to go through the hassle of designing one yourself. LeadPages also has tools for your regular site to allow you to capture leads with things like pop-ups, exit intents, and lead magnet delivery systems. It also integrates with popular software like MailChimp and Salesforce, and you can A/B test on these landing pages. Their plans are not based off number of monthly visitors, but rather what features you want to have access to. When it comes to landing pages, Instapage comes in as a relatively inexpensive option. That’s not a bad thing, especially if you’re just looking to get started and don’t need something really robust. They offer over 100 customisable templates that can get you up and running in under 3 minutes. Instapage integrates with leading mail services like MailChimp, as well as other tools like GoToWebinar and Facebook. This is a good landing page builder for those who don’t want to spend a ton of time learning a new software and just want to get up and running. CRO is an industry where you always need to be keeping up with the latest research and learning the newest techniques. Here are a few sites that can help you hone your skills and stay up to date with what’s going on in conversion. ConversionXL Institute has the best course on conversion optimisation. If you’re looking to learn more about CRO in general and other CRO related topics, CXL Institute is the place to be. The Baymard Institute is a research group dedicated just to eCommerce. They have great (free) articles on research topics like checkout, on-site search, product pages, and much more. Their reports are super in-depth and definitely worth purchasing and reading. We use a lot of their reports and findings when we do our research and heuristic analysis of a client’s site. The Nielsen Norman Group provides top-notch UX training and research. Their articles and reports are a great source of information for CRO professionals. They offer free articles (sign up for the newsletter!) and paid offerings like training. Though the site focuses more on UX than CRO, the learnings can still be applied to the discipline.